We are currently switching our bedroom with our study due to the fact that our library has grown and continues to grow. When you take things down from shelves and walls you will find things you forgot other things have been there so long that you become blind to them as this picture. 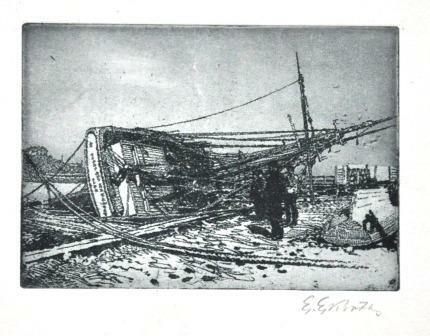 It is an etching by Erik Ekroth – a Stockholm artist. The motive is probably from Skeppsholmen in Stockholm with a view towards Södermalm. I haven’t found much information on Erik Ekroth, but he was born in 1883 in Boston, USA. He was educated at the Art Academy etching school, in Stockholm, and a pupil of Axel Tallberg (Wikipedia article on Tallberg in Swedish) and active in the Stockholm area. He did etchings for at least two works – in 1913 a collection of etchings was published in Bonniers månadshäften (Bonniers monthly booklets): 100 Stockholmskåkar (100 Stockholm houses) and HAGA. 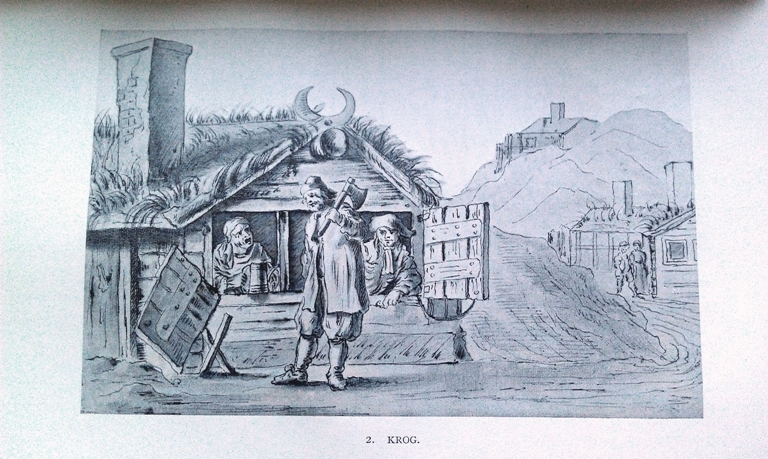 Tolf etsningar af E. Ekroth (Haga – 12 etchings by E.E). Text av Carl Forsstrand. 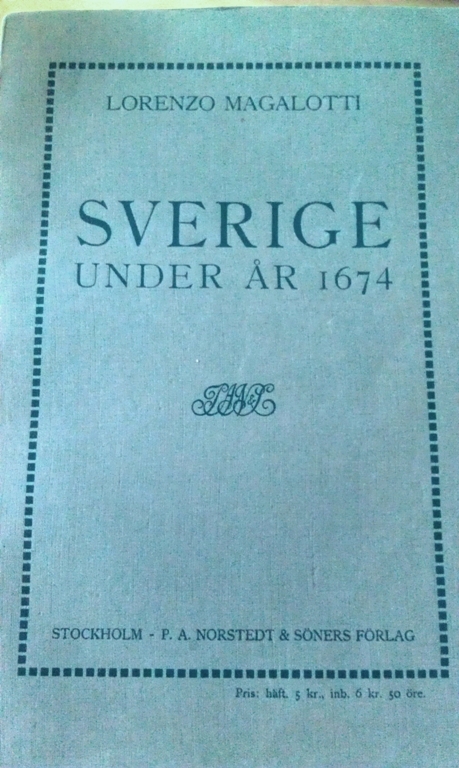 1918, printed in a mare 200 ex. There is little economic value in this etching, but it is decorative and shows a moment frozen in time from the past. I’m no expert on ships and how they were handled at the turn of the century (19th -20th), but I got the impression that this is was an obsolete ship. Alongside this is part of the crew or possibly the owner, mayhap considering voyages done or the work at hand. I’ve been given information that this very likely is a row picture rather than a wreck. Before the dry time, it is usual to turnover ships to inspect or repair the undersides. Thanks to Claes Theliander and Claes Pettersson for info! Skeppsholmen is an island in lake Saltsjön in central Stockholm. Today four museums are situated on the island including the Museum of Modern Art and the Museum of Far Eastern Antiquities. For Over 300 years until 1968 Skeppsholmen was used by the Navy. Many of the buildings on Skeppsholmen stems from this era. Tonight it is Christmas party at Arkeologikonsult in Upplands Väsby. Jolly cheers, beers and some wine mixed with Italian wine are promised. There is still one week left at the excavation at Rissne so a there are a few more snowy archaeology days left to look forward to. This weekend I’ll attend an Archaeological seminar on recent Qin and Han Archaeological findings in Shaanxi province at the Museum of Far Eastern Antiquities in Stockholm. In connection with the exhibition China’s Terracotta Army at the Museum of Far Eastern Antiquities, a seminar will be held in order to provide an in depth picture of the exhibited archaeological findings. Three Chinese archaeologists from Shaanxi province discuss several archaeological sites excavated in recent years, including the tomb complex of the First Emperor of Qin, as well as Han Yangling, the tomb complex of Forth Emperor of Han. The seminar will be held in Chinese, with English interpreter. Organizer: Östasiatiska Museet (the Museum of Far Eastern Antiquities). The excavation in Rissne outside of Stockholm continues and soon week three will be finsihed. I’ve gotten a prolongation of my employment at Arkeologikonsult until December the 17th so there are several days of archaeology left this season, in other words this is getting to be a real winter dig. The last few days have been physically hard as it’s been cold, windy and quite damp. The cold in itself does not pose that big of a problem but snow and or rain makes it more difficult to interpret layers and structures in the earth and the wind is what really makes it cold. It seems we’ll be digging in tents the last few weeks which will make it a lot easier, I hope. Well it’s just to hang in there and do the best of a difficult situation – but I can tell you a sleep like a pup every night and wake up with stiff limbs and muscles. Only one day left this week, thank God for weekends, I need to rest! Got unemployed last week but things are all ready brighter as I’ll start working on a new project on Wednesday next week for Sweden’s oldest private archaeology company Arkeologikonsult, in the business since 1988. I’ll be working on an excavation, in Stockholm, on a gravefield dated to the late Viking Age/early Middle Ages the coming three or four weeks. It will be great as I’ll work with Johan Klange, whom I’ve been working on the Yangshaoproject, and with osteologist/archaeologist Leif Johnsson, whom I worked with in Kronoberg and with Arkeologicentrum, among others. 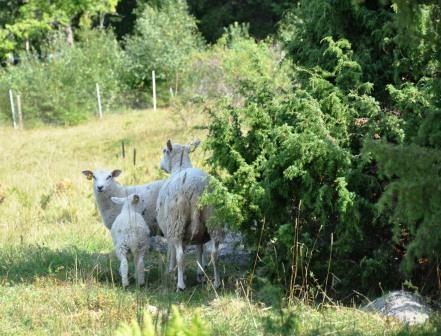 First day of the National Heritage board’s course on Historic Landscapes (Landskapshistorisk utbildning) we visited Oxhagen (the Ox pasture) in Rimbo, some miles north of Stockholm. I’ve been there a few years ago but had more or less forgotten about it, it situated in a rural landscape and we got some friends tagging a long for the ride. Within the pastures are the remains of an late Bronze Age/early Iron Age landscape with clearing cairns, small fossilized fields, cairns of fire cracked stones, a grave field with stone settings and so forth – these remains is in part “disturbed” by newer features, such as younger fossilized fields and clearing cairns, military buildings etc. Location – where is it situated, form – does it have the right shape and material – is it built by the right material. I’ll continue with the notes from next three (3-6) seminars held at “Archeology in Stockholm County 2009” at the County Administrative Board of Stockholm 2010. Link to part one. 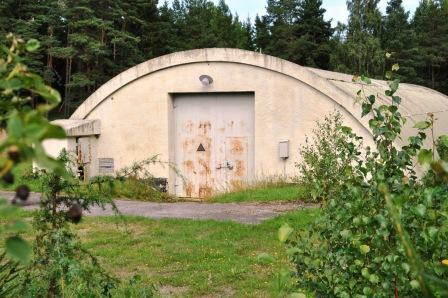 At Jarlabankes home – Are the individuals buried at Brobybro grave field, in Täby parish, related? The Brobybro grave field is dated to ca 1000 to 1100 A.D. The excavations are a part of the project Runriket (The land of runes) and the findings will be exhibited at the Stockholm County Museum in a new exhibit that opens on February 24th 2010. Jarlabanke was one of the most powerful men in Uppland somewhere around 1000 AD who owned great land estates in Täby and Vallentuna. Jarlabanke and his family are known to us through the inscriptions on several rune stones. The grave field consists of ca 20 burials, 12 of which are investigated. A burial mound, Oesten’s mound, has been removed due to cultivation during the 19th century and on the graves. On the grave field are three rune stones, there has originally been four. These are rare as the inscriptions are tied to the burial ground, and those who are buried there, including Estrid and Oesten. Oesten was Jarlabanke grandfather and died in Greece, therefore it’s believed that the mound was empty and erected to the memory of Oesten. The skeletons have been osteological analyzed and only one is female, possibly Estrid who is mentioned on one of the rune stones. From the skeleton a facial reconstruction has been made and will be on display at Stockholm County museum. Of the other skeletons eight has been deemed male, two are from children. One of the children were very young, possibly newborn, was buried in the outskirts of the grave field. In eight of the graves are indications of coffins, two were nailed together, and six had a trough-like design. Most appear to have lids and the lids seem to have been, at least in some cases, charred. Among the finds a number of coins stand out, among other things, a Olof Skötkonung (king of Sweden 995-1022) coin otherwise very few artifacts had been left with the dead. Besides osteological analysis the skeletons has also gone through DNA analysis to see if the buried are related to each other, the analysis was not jet finished at this time. The reason for DNA-analysis were debated during the seminar as whether or not they turn out to be blood relatives or not might not matter all that much, as during the late Viking Age and early Middle Ages as adopted family members were as high in rang as blood relatives when it comes to the right of inheritance. Regardless of all this the analysis gives knowledge – either new or results that reinforce old knowledge. The results also accumulate to the database of DNA analyzed prehistoric skeletons. Another thing that was debated was the absence of women, or the presence of just one woman. During the debate it was put forth that this is to be expected at grave fields from this time of this sort (small grave fields connected to an estate, a farm or a family) as the buried are those who stand in line to or have inherited the estate, which most often are sons. In this case Estrid is mentioned on the rune stones which might be due to the fact that she inherited the state as a widow or a lonely child. – Interesting finds from a very interesting place. This gives me a good reason to visit Stockholm County Museum later this spring. Sven Isaksson has made a compilation of lipid analysis made at the AFL from 300 prehistoric vessels, where one fragment equals one vessel. The method used is mass spectrometry. With this you can see whether the lipids derived from marine/aquatic fats, respectively, land animals or vegetables. There are a overlap between lean fish and terrestrial animals to consider. One can, at best, also identify differences between ruminant and monogastric animals, and if the fat comes from meat or milk proteins. There is also possible to separate vegetable fat that is derived from oils and nuts. Some ceramic shards are “empty ” ie. there are no lipids to be extracted, this may be due to preservation conditions, soil composition and the nature of the ceramics; ie. porous or solid ceramic and of course it might depend of how the vessel been used. A kind of culinary context must be taken into account. What was the main function of the vessels; cooking, storing food or drink, a sacrificial piece etc. – The interpretation must include more than the vessel itself such as the context of usage; Who cooked the food? What cooking technique was used? For what reason did they cook food? Where they used for storage and for how long etc. There are, for example, several containers from the Bronze Age that are showing traces of tar. Most often pieces from the mouth of the vessel is used for analysis and this might be traces of a sealing, it might also be a residue from a technique to seal the walls of the vessel. The analysis shows that there are differences over time in terms of cuisine. The early Neolithic, Funnel beakers (TRB), represents a different type of cuisine than the cuisine of the Pitted ware culture (GRK) in the later period of the Neolithic’s. The GRK cuisine continues into the Bronze Age, though developing towards a more one-sided use. During the Iron Age it once again goes towards a more diverse couisine and usage of the pottery. – An interesting compilation that is worth a closer look. The field course in Archaeology (General course) held by the department of archaeology at Stockholm University 2009 were carried out in collaboration with several institutions and companies such as Stockholm City Museum, Bromma local history association and Arkeologikonsult (private company). A stone fence, Bromma 30:1, dating to the early Iron Age (500 B.C.–550 A.D.), a minor excavation of a smaller part for the purpose of dating the fence. A stone setting (a burial monument), Bromma 66:1, made out of large stones and boulders, probably from the early Iron Age or Bronze Age. A find within the stone setting shows that it’s been reused during the late Iron Age. 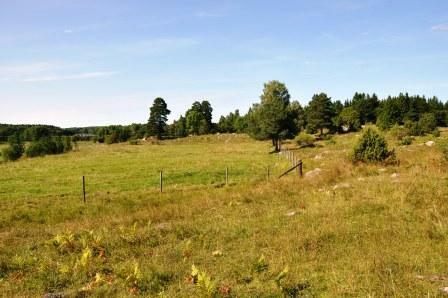 A foundation of a Viking Age house on a plateau, Bromma 226:1. 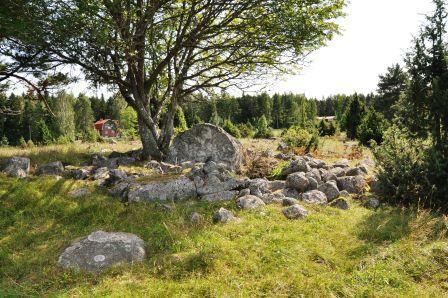 A stone setting (a burial monument) and a five stone boundary cairn, Bromma 226:2-3. The boundary cairn is placed on an older burial monument, possibly. It’s a difficult context to interpret, the five stone cairn, in reality not a cairn but five stone placed in a cross formation where a heart stone marks the spot and the wing stones the direction of the border, these are often placed where a boarder makes a turn. According to historic maps there should be a five stone cairn about here, a there is a bit of difference in opinions if this is that cairn or not. Finds of cremated bones, fragments of a comb and a arrowhead is evidence of the grave, though if I understood it right, the outside of the stone setting was disturbed by later day activities and the possible five stone cairn. After the Viking Age the settlement moved away from the plateau down slopes where several remains can be seen in the ground. These notes should not be used as references, if you’re interested I’m sure the people behind the seminars are happy to help you. These are memory notes so there might very well a few faults or misunderstandings among them, if you find anything that is wrong or out of place please contact me so that I can fix it.